Guardian Angel. angel پیپر وال. HD Wallpaper and background images in the Angels club tagged: angels heavenly image wallpaper. 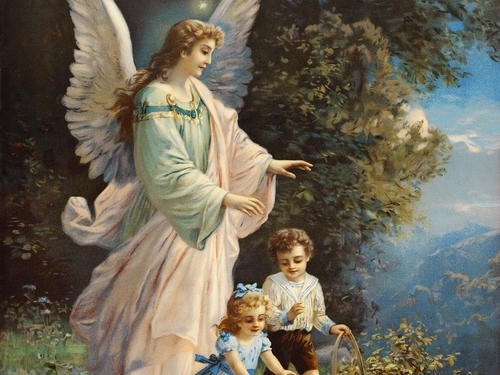 Yes the old paintings capture the true beauty of angels ! Yes indeed! And these old-time angels are wearing more clothes than today! !~LOL~ sad but true!